This week will be a bit different than our normal weeks because we are throwing a party! I am only including two meal plans this week because we will most likely have a ton of leftovers. This will be our dinner tonight. The leftovers from the lasagna should last us until the big party. BBQ Pulled Pork is such an easy to make, great tasting, and cheap meal that you can use to feed a bunch of people. This recipe uses pork tenderloin, but do what the reviewers suggest and use a shoulder roast. Roasts are much cheaper and the end result is the same! Also, because it is a slow cooker recipe, just set your crockpot to keep warm when the party starts and guests will always have hot food. The Apple Salad recipe pulls together apples, cool whip, snickers, and vanilla pudding. I’ve never made it before but Shae’s grandmother would make it for the Holidays. Who am I to argue with a salad that has snickers and pudding in it. Yummy! 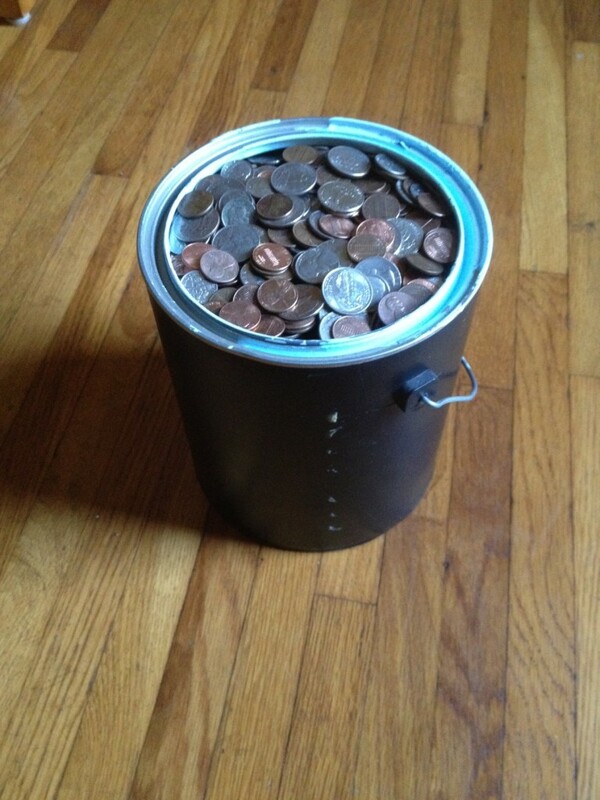 Do you keep a change jar? I am about to take ours in to the bank and have them sort/count it (for free of course). 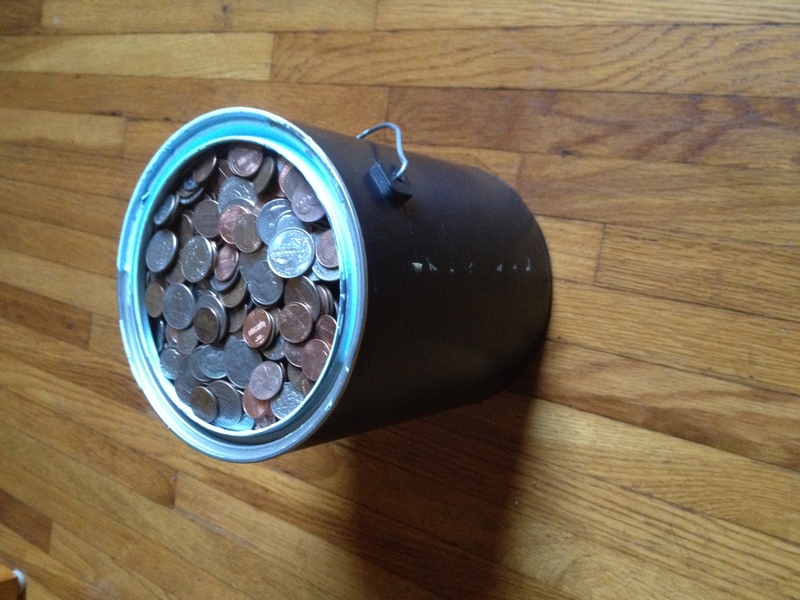 How much change fits into a 1 gallon paint bucket? Shae thinks 51.69. I am optimistic and think 73.29. What do you think? After taking it to the bank and having it counted the total amount for a full gallon bucket of change was <drum roll…………..> $375.19! I had been reading online about how some people fill up the 5 gallon water jugs and take those in. They usually get somewhere between $1-2k. What I really want to know, is how do they lift the jugs up? When we bought our house back in May we made a list of projects that we wanted to complete within the first year of living here. One of those items was to appeal the property taxes and hopefully cut them down a little bit. We have the exact opposite problem that my parents do. My father likes to complain about how much his county taxes income (which affects him) and how little they tax property (which mostly affects farmers where he lives). Our county likes to tax both, because we live in Illinois, but the difference in what we pay in property taxes versus what some of my siblings pay in neighboring states is staggering. Assessed Property Value should represent what a property (land + any buildings) would sell for on a fair and open market. There are a few Deductions that property owners may qualify for. The most common is the Homestead deduction that qualifies owners who live in that property for a $6000 reduction. Other deductions include Senior Citizen Freeze and Home Improvement. 0.0786644 is the current tax rate. It could also be written as 7.87%. Ouchie! Regardless of where you live in the United States, your property values and tax rates are considered public record, meaning that anyone can look them up. In fact, for our county, you can do so from the comfort of your own home simply by going to the County Assessor’s website and doing a search. This can be extremely helpful when deciding whether or not you should appeal your property taxes because it is very easy to see what your neighbors are paying for the same government services that you are receiving. Our 2012 property tax bill (that we thankfully did not have to pay because we bought the house in 2013) was $4,368 based off an assessed market value of $184,605. $184,605?! We bought the house for $149,900, again you can see purchase prices and even mortgages as part of public records. Additionally, the appraisal that was done on the house in March estimated the property at $158,000. Hmmmm, it sounds like that status quo is way overvalued! There are some very strict rules in our county for appealing your property assessment (and hence your taxes). You can walk into your township assessor’s office anytime of the year and informally appeal your assessment. This should prompt the assessor to take a look at your property and update their numbers. This is exactly what I did in July. I handed over a copy of the appraisal with the $158,000 number and was informed that 2013 assessments would be mailed out in September. Fast forward to last week and I saw a letter from the assessor’s office in the mailbox. Nervously, I opened it up to see if my nonchalant plea had been successful. 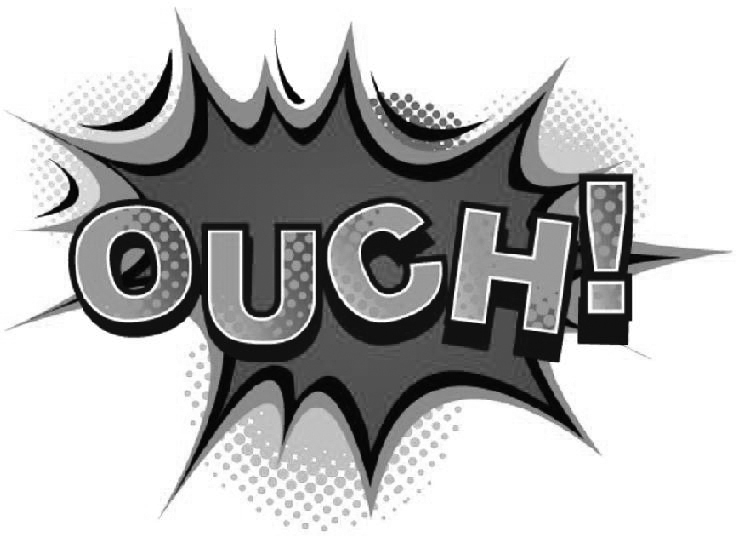 As I quickly scanned the wall of text I saw that our assessed value had been lowered 1%. Woohoo? Wait a second, everyone in the township had been lowered 1% because of falling home values. This wasn’t a success at all, they didn’t even bother to reevaluate our property! It was time for a formal appeal. In our county, you have 30 days from when you receive your written assessment to file a formal appeal to the board of review. As with any government interaction, a formal appeal starts with a form and ends after approximately a ream of paper. After about a day, I had finished researching, filling in, writing, and printing a 2 page form with 39 pages of supporting evidence (okay the appraisal itself was 35). You’ll need it all in triplicate (because bureaucracy) and away it goes into the mail. After all of that, the number I put on line 6, What is your opinion of market value on January 1, 2013?, was $156,261. I came to that number after arguing the value several different ways (recommended by the instructions included with the form). We purchased it a for a lot less than it is currently valued at. Our supporting evidence was the settlement statement that broke down the $149,900 purchase price. Appraisers have to be certified in order to work. They don’t (shouldn’t) pull numbers out of thin air nor should they be biased. We included the 35 page appraisal as part of our appeal evidence. Remember when I said you can look up your neighbors tax bill? Well, I did and found out that on average they are paying 11% less than we are while living in similar sized or larger houses that are in better condition. The county figures your assessed value by looking at how much land your property sits on, how many square feet of living space you have, how many bedrooms and baths are in the house, and a bunch of other quantitative and qualitative data. If those records are incorrect then you can argue on those grounds as well. I noticed several discrepancies between the counties records, appraisal report, and my own observations. For instance, the county believes that we have 300 square feet of finished basement space. While I can see evidence that at one point there was some finished space in the basement, there certainly isn’t anymore. Now that our formal appeal is in the mail there isn’t much I can do about it. The way I figure it, best case scenario is that they accept my new proposed valuation, $156,261, and our property tax decreases from $4,368 down to $3,625. That would net us savings of $743 per year! Even if the board of review does nothing, aka as the worst case scenario, we are only out the time invested in filing the appeal and the cost of materials/postage to do so. Printing and postage combined was $38.54. I will write a Part II (Updated click here for Part II) after I hear back from the Board of Review and see how successful our appeal was (or wasn’t). I think we have a pretty strong case and like any *good* government function, we can appeal the appeal! 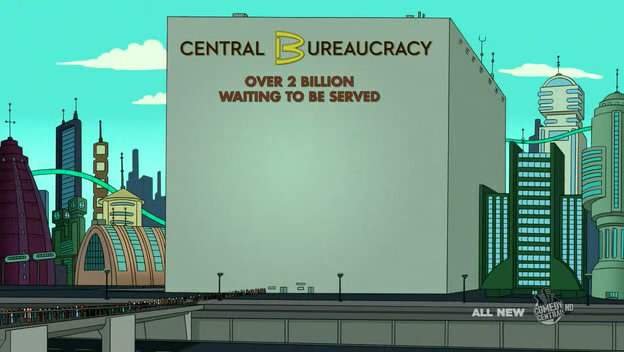 Huzzah for bureaucrats everywhere!! I wanted a break from white fish and due to some dietary restrictions Shae has to be a bit picky about what kind of seafood she can eat. 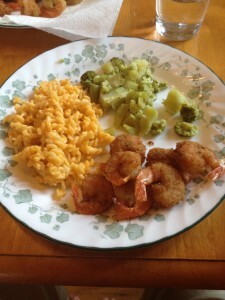 One item that is on the ‘eat as much as you want’ list is shrimp. 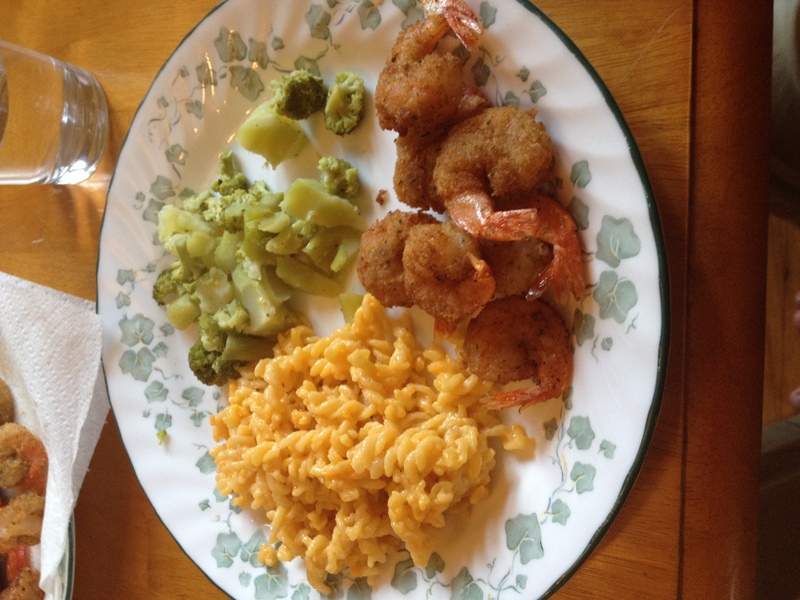 Tonight we tried a new way of preparing shrimp, we fried it. This is the recipe we followed (you’ll want to read the reviews as the reviewers make some important recommendations). Overall it was a fun experience if not a little time consuming because the shrimp we bought at the store still had shells on. 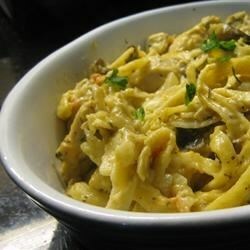 We’ve made this recipe before and substituted heavy cream in place of half and half. My Cheesehead wife has some strong opinions when it comes to what kind of dairy should be used in a recipe. All I know is that the end result is a rich, creamy, yummy dinner. While making a pizza at home takes longer than ordering carryout or popping a frozen pre-made pizza into the oven it is a fun experience. For starters, you can put anything you want on your pizza. Getting dinner ready is one of the first things that we do together as a couple after a long day of work. Trying out new recipes, improvising, and working together can almost be a date in itself! 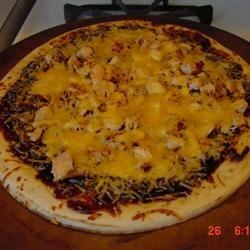 The last time we tried to make our own pizza we followed this recipe. I don’t have a specific taco recipe this week. However, I do want to try out a new local supplier of authentic corn tortillas. Here is a newspaper article talking about the new business. At 75¢/dozen I can’t afford NOT to try out some fresh corn tortillas! We make our own batches of trail mix because it is cheaper than buying it from the store and we get to decide what goes into it. 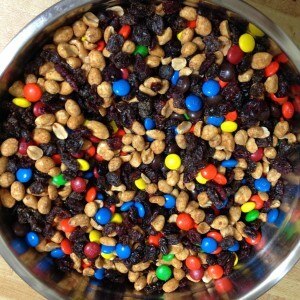 The great thing about making your own trail mix is that you can decide how expensive you want it to be. If you want a cheaper mix, use more peanuts and raisins. If you want a more lavish mix throw in dried blueberries, walnuts, almonds, cashews, dried pineapple, etc. The one warning about trail mix is when it comes time to share with others. There are very strict rules in our house that cherry picking (eating just one thing) is forbidden. The easiest way to solve that is to dish out smaller portions and making sure everyone has their own container. 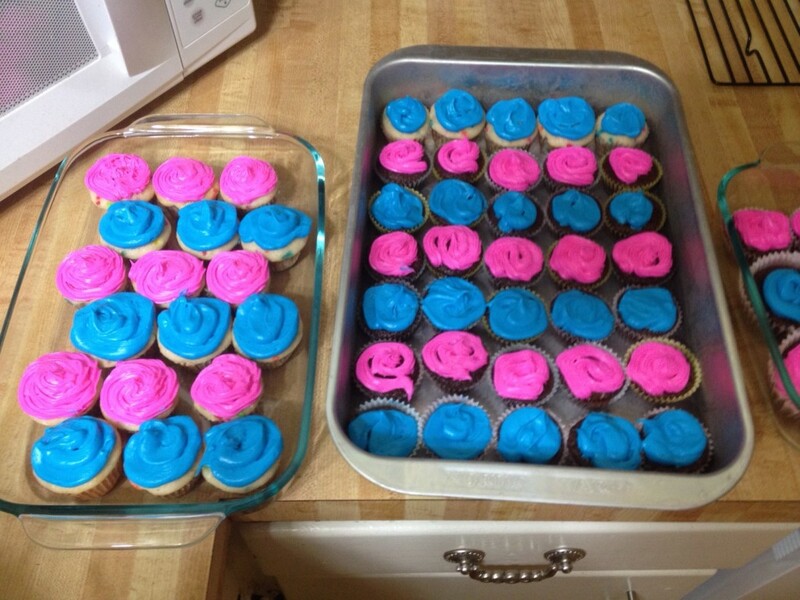 Shae has been doing a lot of baking lately. 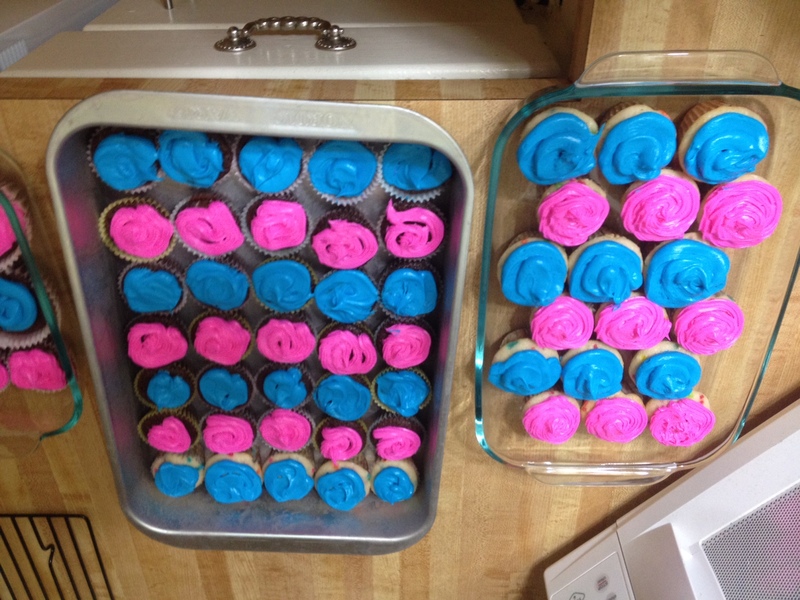 Occasionally she bakes goodies for her coworkers. I usually taste test. What is the poor man’s tax you ask? Why, it is the lottery, powerball, or really any form of gambling whether that be at the casino or race track. Okay, so the title might be a bit misleading. Maybe it should read, “Avoiding The Mathematically Challenged Person’s Tax”. At least that appears to be the conclusion that this writer over at BadMoneyAdvice.com came to in his article. The simple answer to the question, why am I calling it a tax, is that a “player” is going to lose money. Period. How bad are your odds against you? Let’s consider Power Ball for a second. Each $2 ticket that you buy has a 96.9% of winning you jack. nada. zippo. Do you want a guaruantee of winning $4? Then you’d have to buy 35 tickets. +$4-$70=-$66. You can see a more detailed analysis over at Business Insider. “But that is just PowerBall”, you say. “I am a master at playing _______!”. While I could look up the odds of each form of gambling, let me make a blanket statement. If the odds were in your favor, the establishment wouldn’t be profitable and wouldn’t exist. It’s doors would shut and you’d no longer be able to use your prowess to make easy money. The fact is that the doors are open because they make money. The best way to save money is to not play at all. So you’re feeling bored and want something to do. How about a nice game of chess.